Creed® has been recognized as the leading manufacturer of the world's finest religious medals. Their commitment to excellence has enabled the name to stand for superior quality and value. 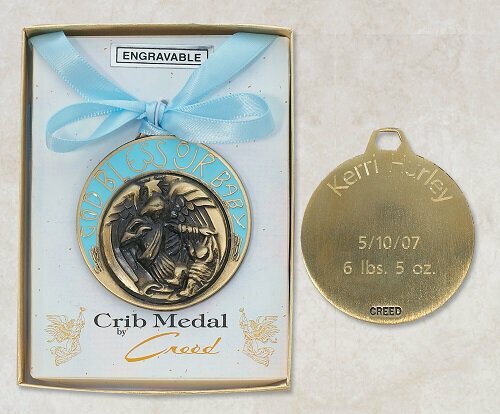 For those celebrating a child's baptism or welcoming a new baby, this engravable crib medal makes the perfect gift! It offers the parents a way to commemorate their baby's birth date and is a meaningful gift to cherish through the years. Comes gift boxed.